It’s always refreshing to see a film made for grown ups. Too often American dramas dumb things down, maybe out of a lack of talent in the writer or maybe a lack of confidence in the audience’s intelligence. 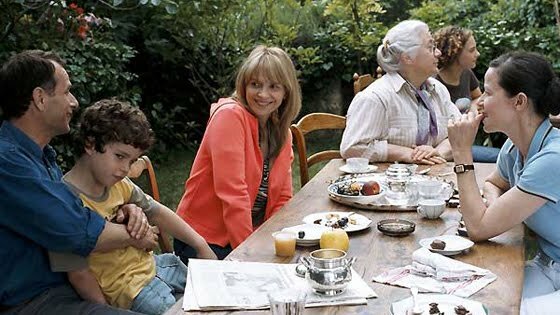 Here director Assayas looks at the strange dynamic of being both the adult child of a parent and a parent to your own children. In one position you are still looked on as an infant or adolescent and in the other you are the supreme authority. This difficult place is used to examine how we deal with death and responsibilities placed on us by the dead. The whole thing is a very naturalistic, quiet piece of cinema that is rewarding and ambiguous. The answers we receive will be as open ended as the characters in the film, and like them, we have to learn to happy with that. Helene has just turned seventy-five and has come to terms with the fact that her life is coming to an end. She takes her eldest child, Frederic aside and explains to him how the family’s vast art collection and the country home they grew up in is something she wants him to maintain and make sure her grandchildren can bring their children to. Helene dies soon after her children make their last visit to the house, all of them caught up in busy lives: Frederic in Paris, Adrienne in America, and Jeremie in China. Frederic comes together with the siblings who all want to sell off the artwork and the house as they don’t have the funds or time to maintain the property. Frederic concedes and they go about cataloging the contents of the home. Frederic maintains a sense of guilt as he watches the promise to his mother fade away. Summer Hours is a film that will demonstrate how programmed you have become by cliched Hollywood plot devices. There is a never chance anything of major conflict with occur, no one is going to explode in an emotional rage and there will be no ironic twist of fate. This is a very relaxed film about a family and the compromises we all make as a part of families. Frederic never really puts up a fight and its hard to be angry at him. As much as his mother loved the collection her uncle had amassed and she inherited, it is almost impossible for her children to maintain it. What is interesting is how Frederic’s teenaged daughter, Sylvie feels a strong emotional connection to the country house. The opening scene is of her and her little cousins running through the woods, playing, being children. The final parallels this, but with a more bittersweet tone as it is the last time she will be there. This is not a film that has a message for you. Assayas simply tells the story of these three adult siblings, lives without melodrama, dealing with the aftermath of the death of a parent. What you are meant to get out of the film is what ever you want. So often in American mainstream cinema scripts are locked into formulaic beats and its all about hitting certain plot notes by certain page numbers. Here no one is rushed along, no one reveals some deep dark secret. Its very refreshing, and beautiful, and ultimately stays with you a lot longer than a script that sloppily goes didactic. If you are looking for an incredibly thoughtful film that lets you decide what you want it to mean, then I think you’ll be in for a treat with this one. It is impossible to watch this film and not be affected in someway. 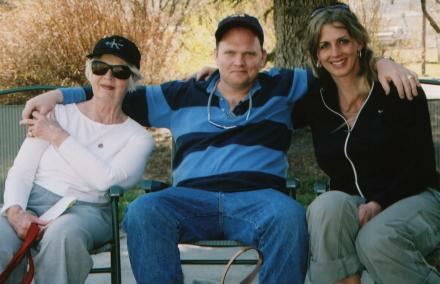 It is one of the most inside looks at a family and their struggles, particularly with mental illness. I can’t say I have ever seen a documentary that captured such intensely intimate and violent moments on film. While the details of this particular family may seem drastically different from your own, when looking at the core nature of the relationships it is like any other: there is a lot of emotional pain and little done to resolve it for years. It’s one of those documentaries that is bound to ignite arguments about what is incited by the director and what is the natural progression of these people in this situation. Kimberly used to be Paul, the high school quarterback and basketball center. After leaving Helena, Montana as a teen, she moved to San Francisco and embraced her life as a woman. Meanwhile, older adopted brother Marc was in a car accident that left him permanently brain damaged. Marc has trouble building new memories and for him Kim is Paul. In addition, youngest brother Todd he came out of the closet and moved away to California. The center of the film is the three brothers issues of identity as it relates to their relationships with each other. Marc is having trouble with medication that is used to balance him and lashes out repeatedly in violent ways that chill you to the bone. This is told through the filter of Kim, who is angry that Marc still thinks of her as Paul, and its unsure if this is a choice Paul is making or if he is physically incapable of permanently processing this. The documentary is sold in its trailer as being about the discovery of Marc’s biological family. It turns out he was the son of Rebecca Welles, daughter of director Orson. Kim follows with her camera as Marc travels to Croatia and meets Welles’ lover Oda Kodar. Kim and Marc seem to bond over this trip and it appears that he has control over his temper. The next time they meet up though, Marc flips out about a broken gas gauge on a truck and physically assaults Kim, all of it recorded on camera. Things continue downhill at the family Christmas when Marc brutally tackles Todd from behind, police are called, and Marc grabs a knife. He ends up in a mental institution. Tragically, Marc died as the result of a seizure in May of 2010. The film has to re-find its footing a few times as it starts out as being about Kim returning to Helena for the first time as a woman. It quickly becomes about she and Marc’s relationship, in particular his jealousy at never being the “good one”. Kim was the straight A student and star athlete. Marc was held back in preschool and drank and partied to excess. Now that Marc has suffered this injury he has faded from being able to impress, now he appears to use his disability to make every family get together about himself. But how much does Kim incite and how much is Marc manipulating? The film never completely answers this, but it will stay in your mind for a long time.